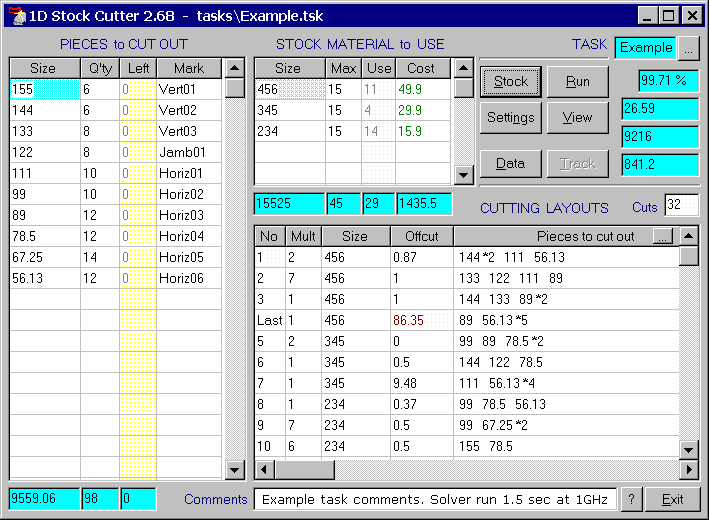 1D Stock Cutter (1DSC) is the length cutting optimizer - fast, powerful, compact and easy to use software tool to optimize cutting to length of any linear (one-dimensional) material: profiles, bars, extrusions, pipes, tubes, channels, angles, rods, lineal wood boards, beams, lumber, and so on. The freeware version has limits on the number of pieces and stock types. How to extract: Download the ZIP package and extract to a folder of your choice. Launch cut1df.exe.